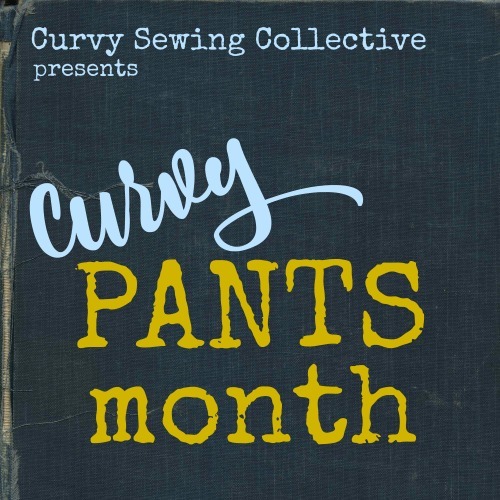 How do you handle compliments about your sewing? 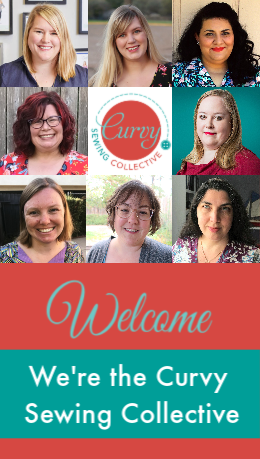 You are here: Home / Community Discussion / How do you handle compliments about your sewing? 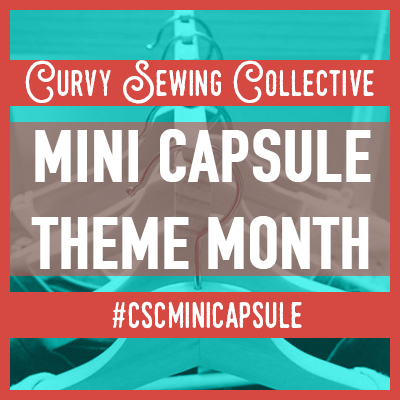 How do you handle compliments on your sewing? It’s the moment that I think most of us love and fear: someone knows you sew, they are honestly impressed, and they say something lovely. You feel flattered and proud… and then how do you respond? Myself, I usually say something self-depreciating, like, “Oh, it’s just an easy pattern.” or “Look at this flaw in the hem! It’s totally crooked.” Then maybe I say, “Well, I don’t have kids, so I need a hobby!” And that’s silly, because I love the clothes I make, I value the time and skills that sewing takes, and I don’t care about those little flaws. I like when people find out I sew, but but then I create this silly stress that I have to be in awesome me-made clothes next time they see me! I think lots of people have trouble accepting compliments, perhaps on our appearance most of all. Ironically, our blogging community is filled with profuse compliments – no one comments except when they are going to rave or perhaps offer advice if it’s asked for directly. All those blog compliments are great for our self-confidence… so then why can’t we take them in real life? How do you respond to compliments? What do you actually say, and is there anything you’d like to say instead? I ran into this head first at Craftcation. I’ve been Instagramming my garment sewing journey and was working on a top right before I got there so when I wore it, and the days following, people were so amazingly kind with their compliments. I found the best thing for me to do was to be super respectful of the compliment they were giving. I’m sure I blushed a bit and stammered, but it was an honest heartfelt reaction from me. It’s easy to be self deprecating but if someone is taking time to offer you a compliment (especially another maker who knows) we should take the time to react to the full force of their compliment. I want that person to know that it really means a lot to me, even slightly embarrasses me. As for what I actually say, besides thank you, and how kind it is for them to say that, I will talk briefly about what making it was like. I’ve been working on getting just the right fit with the Tiny Pocket Tank so I may mention something about that if I’m wearing it at the time. Hi! I just dropped in from Diary of a Sewing Fanatic. when they were home. I have to say to myself…. today is a sewing day!!! in a while. And their compliments……. PRICELESS! I knit more than I sew, but I get this as well. I also went to grad school in linguistics, and I’ve spent a lot of time mulling over the compliment thing from a conversation-analysis perspective. So, brace yourself for incoming nerdery. A: Oh, yeah? Did you have a good weekend? A: Hey, that dress looks really nice on you! A: Did you make it? A: Wow, you’re so talented! D: Oh, hey! I didn’t see you standing there! What’s up? C: Not much, just checking in. How are you doing? D: Eh, not quite awake yet, but I’m only on my second cup of coffee, so there’s still hope. You? C: That tired? You must have had a heck of a weekend! D: Ha – you know me, wild and crazy. Actually, I just got obsessed with this project I’m working on, and stayed up late sewing. C: Oh, man, did you make the dress you’re wearing now? It looks great! Anyway, my workaround – to avoid awkward pauses, bragging, and the terrible self-deprecation-monster – is to say “thank you” and then add some sort of very quick detail. It’s kind of like in improv, where you’re supposed to respond to your scene mate’s suggestions with “yes, and…” and never with “yes, but…” because the former extends the conversation while the latter cuts it off. I try to “thanks, and…” the compliments I get, and it generally seems to go well and keep things moving. That was an awesome response and makes so much sense. I already do what you suggested and give an extra detail, but I didn’t know why. I learnt how to take compliments after I experienced how poorly most people receive them. I like to compliment people and it flummoxes them most of the time, but they almost always walk away smiling. I have gone through several phases. When I was growing up every woman I knew sewed and a couple of my aunts could be ever so slightly catty when mentioning that some woman “doesn’t even sew,” so I grew up thinking that almost everyone sewed so when I was in my late teens to early 20s and someone seemed especially impressed that I sew I felt slightly insulted, like, “Of course I sew. What kind of woman do you think I am?” But I was also taught to be polite so I would just say thank you. With age comes wisdom. (I hope) Finally, I’ve learned (most of the time) to just simply say thank you. Sewing is my thing but it’s not everyone’s thing and that’s okay. I am also practicing the simple “thank you” and sometimes also the “I made it”, depending on the commenter. What I do try to teach some of my friends that sewing your own clothes has nothing do to with saving money, quite the opposite! I do try to smile and say thank you, especially if it’s something that was tricky. I usually respond with something like “thank you, I love doing it” or when they ask how I have time to make things working two jobs I say “oh this is my therapy”. If I’m talking to someone who knows I sew, then I will say “Thank you, I worked very hard.” If it’s someone who doesn’t and I don’t feel like getting into the conversation with, I’ll just say “Thank you so much!” If they want to know where I got it, then I’ll say something like “Unfortunately, it’s one of a kind. The pattern is by____” let them make what they want of that. Honestly, the “you’re so talented!” thing bugs me a lot. Sewing is a skill that I’ve worked very hard to acquire and while there are people who have a natural flare for dressmaking, they don’t pop out of the womb being able to sew a straight seam. Also I feel like when they praise my talent it absolves them from realizing that this is something they can learn to do. I agree that sewing is a skill anyone could learn – but like having a talent for music, math, or anything else, I bet it comes more naturally to some than others! My mom is a talented quilter, she uses cloth to make pictures and suggest stories that is just beyond me and my abilities. Ask my mom to sew a dress and she has trouble matching a fabric to a pattern and she’s flummoxed. When she does, she calls me from the fabric store to go over what she’s seeing and figure out what would work. AGREE!!! That sort of weird “compliment” annoys me too. I have messed about with yarn, fiber, fabric, thread and all that stuff for years. One learns a thing or two and develops skills. It isn’t some sort of fairy dust I snorted yesterday. It’s practice and learning. What they don’t want to say is, “I would rather watch tv than learn something” so they erase your learning and effort by calling it ‘talent’. Super annoying. I have a related question: What about when people just ask, “Did you make that?” without the compliment? It makes me wonder if the garment in question looks unprofessional and homespun, or are they just asking because they know that I sew? Any good ideas for responses to that? Angie.. That is what I experience practically every Sunday.. “Did you make that” for me its not about it looking homespun (in my opinion) .. They know that i sew and my favorite/most common things to sew are dresses so they find amusement in quizzing me on each dress by asking that same question The rare times I say “no, not this time.” They reply oh.. well you could’ve.. it always makes me laugh. Its almost like they are irritated that Im wearing RTW clothing at all. What if you turn it on them and say, “Take a guess!”? I suppose if I said that I really would find out what they’re thinking. 🙂 Usually this comes from people I know well and who love me, so I should just take it as a compliment. Oooh, interesting! What would they reply if you said, “Yes, I did!”? I think most people would follow with a compliment, naturally! I also say “I did” and smile. When I was a beginner, like you I did wonder what I should understand. And one day someone asked me if I had made the skirt I was wearing, and I said “no, but I made the jacket”. It was someone who knew that I sew, and who was regularly asking about the garments I make, otherwise I wouldn’t have talked about the jacket. Anyway, this was meaning that this person could not see the difference between hand made and RTW items. I think it was the greatest compliment I ever had. And it’s so good for self confidence ! What a great post, thanks for opening up the discussion! “Thank you.” This is all that is required for the compliment. If you negate the compliment, you place yourself and the other person in an awkward social situation. Just sincerely thank them for the compliment. “As to the “would you sew for me” that often follows in the conversation…” When I was working (I’m retired) I used to be asked this all the time. I always answered that I sew as a hobby, to relax from the stresses of work. If I did it for someone else it would feel too much like work. And I agree, just “thank you” is a good response. If I feel I need to add something else, I will say I like solving 3D puzzles, or I like the zen of repetitive seams. “You can’t afford me.” is always a good response to any unsavory request. I don’t sew for other people except gifts. I don’t need another job. I have a job and other hobbies too. There’s a few things I do to avoid sewing for others. It depends on the person/situation. “I’ll let you know when I have time”, and then just never get back to them. This is repeatable. They either forget or stop asking. If it’s the particular fabric of my item, I just say I used it all. “You can’t afford me” is ok, but then that opens the door to them arguing about how much I would charge and downgrading the value of skills, so once that happened I didn’t use that one anymore. People are remarkably rude sometimes. Some guy in my choir kept bugging me about knitting him a pair of socks. I talked through the numbers right then and there and came out with a price of $1000, using the same rate I got paid for my day job because that’s where the time would have come from. He stopped after that. I really don’t think people understand how much time and skill goes into all this. I have learned to say “thank you, that’s very sweet of you” I accept compliment and give one right back at ya!! Some people at work know that I sew and will ask. But usually it’s “I love your dress, where did you get it? !” And I reply “I made it!” And to the “wow!”…i always just say “thank you!” I may elaborate if they comment on something specific about it. Eg. A coworker commented on my well fitting (B5678) shirt. I sew button front shirts because I absolutely cannot buy them in the store (narrow shoulders plus a 7″ difference between full and under bust). Great insight that applies to me, too. How is that for another Web-based compliment? I have learned o simply say thank you. When someone compliments me & I say anything negative I’ve found that I’m really saying, “you don’t know what you’re talking about”. How insulting that would be. It’s true – but funny how that’s a very socially acceptable response regardless! Usually “thank you I’m really pleased with it”. People do ask me to make them things and sometimes I feel like I have to, because they asked and admired it. I’m trying to get better at that. When people ask me if I sew for others, I tell them, “Never. Sewing is stress relief and creativity for me. Plus, I’m slow. If I sewed for anyone else, it would take that away. I could not handle that.” I’ve never had anyone press me after that. Reading the Selfish Seamstress blog, all those years ago, gave me the courage to refuse to sew things for others when I do not want to do it. There’s no need to explain your reasons to others. A simple statement, repeated firmly but kindly, is more than enough to make yourself clear. You should never accept responsibility for someone else’s reaction to your statement. If your simple statement makes someone angry, it is up to him or her to learn to anger management — not up to you to appease him or her. Compliments are easy: smile and say, “Thank you!” For the friends who say, “Don’t tell me you made that yourself!” I smile and say, “Okay. I won’t tell you.” Then we laugh and laugh, because now they think they know that I made it myself. Or not, which makes me laugh even harder. This used to be difficult for me to cope with. Now I feel so much more assured with the quality of what I sew and only use the best fabric I can afford I am much more comfortable about accepting compliments. I just smile and say ‘thank you’. If I’m asked to sew for someone else I politely refuse, Ne excuses, no explanation, when I tried to do that I found friends tried to shoot down my reasons for refusing. So now it’s a polite ‘no sorry’ . I’m 70 and don’t have the same focus and energy levels I used to have sadly. If they find out you sew, they seem to always have curtains to be made, pillows for the couch, reupholster this chair please?, or quilts, baby items, whatever. It doesn’t seem to have to do with the actual item I made. It’s just weird. For that one I said “I think there’s places to buy those.” but I was looking at him like he was nuts. Sigh. If someone admires what I am wearing, I just say ‘thank you’. It would be impolite of me to try to ‘correct’ their opinion. Depending on the situation and the person, there are two or three answers to that question or similar ones. ‘Oh, it was made for me’ and ‘Actually, it’s a German/Italian/Russian design'(depending on the pattern’s origin) are my usual. utterly truthful answers. Much more rarely I will say that I didn’t buy it, but made it myself. Stand in front of the mirror, and practice saying ‘Gillian, I do like your dress!’ then look yourself in the eyes and say ‘Oh, thank you!’ with a bright smile to your reflection. When you no longer feel silly or awkward doing that, get a close friend or family member to frequently offer you a similar compliment at random moments (preferably when you’re wearing your oldest clothes to clean out the gutters or the chicken coop, to make it totally ridiculous) and respond with ‘Oh, thank you!’ until you can say it with a straight face and without a moment’s hesitation. That makes doing the real thing in a real situation so much easier. Try it! Ha, love that idea. Possibly practice a regal thank you wave at the same time? ? I usually just say thank you. Sometimes they know if was made by me because they recognize the fabric and then that opens a dialogue with someone. I more often get asked how I have the time to sew on top of working full time and raising 2 small children. The answer is bedtime. I can get a lot of sewing done between 7:30 and 9pm and still have time to watch a good show before my own bedtime. I bet you feel great about yourself after getting some nightly sewing done – something that isn’t always true after hours of watching tv! Glad you’ve figured out a way to make time for hobbies! I just say Thank You, and leave it at that. I learned a long time ago to not say BUT, because usually what follows is an explanation! It also takes the compliment away from the giver, so a smile and a thank you are it! That’s a good way to think about it! I just say thank you or yes I’m quite pleased how it turned out. I’m proud of my work. I put a lot of effort and time in to make one of a kind pieces and I tend to use traditional south african shwe shwe fabric so i get a lot of compliments. When ppl find out I made the garment/ bag I just smile! Ooh, shwe shwe has such visual impact! I’ve never had any to sew with, but if I find some, I’ll snap it up! What’s your source? “Help me when I have problems”! True for sewing problems, but my favourite thing about the lovely sewing community s that it’s true for all kinds of problems. Whatever is wrong in life, sewing people are there to listen and support! If you have trouble accepting compliments, take baby steps. Just say, “Thank you.”. Once you get more comfortable with taking compliments, you can begin to elaborate. Thank you Gillian for asking this question. When someone compliments my sewing, I just glow. I always say thank you and often express how much fun it is to sew. I am actually desperate to have clothes that fit so when someone notices that I am delighted. 1. Isn’t it amazing having clothes that fit and that you life? Looking back, I can remember so much stress about clothes that sewing could have avoided! 2. I”m really relieved if this post doesn’t come across as humble-bragging about getting compliments. I just think it’s so interesting! I give an enthusiastic, “Thanks! !” to a compliment. It’s when someone asks, “Did you make that?” that I panic. Are they asking because they’re impressed? Curious? Or….gulp….does it LOOK homemade and I’m embarrassing myself wearing it? I hate not know where the “did you make that” question is coming from. I think it’s best to just pleasantly say, “thank you.” People who don’t sew don’t normally care to know more. And whether they sew or not, if they want to know more about your project or skills, they’ll keep the conversation going. I am really good about just saying Thank you. It was learned from being in music/band for so many years. As an artist (which I think most sewist are) they automatically see a less than perfect performance. But for an audience member, they don’t know the nuance, what is on the sheet music, or what the pattern instructions said. So, from their perspective it is really good, so you should just accept it. Isn’t that interesting! I, too, worked as a musician for many years and got used to the idea that most people did not hear the mistakes that I heard. With sewing, my clothes fit SO much better than ready-to-wear that I am not embarrassed about them. I’m not yet ready to enter them in any sewing contests – there’s usually something “off” with each garmet – but I’ve realized that the only people who would even appreciate the little mistakes are other sewists. People who know me know that I sew most of my clothes. They are the ones who usually give me compliments. To them, I’ll answer, “Yes I did! This was so much fun and is so comfortable” or “Yes I did! I’ve had this fabric for 7 years in my stash and finally figured out what to do with it!” or “Yes, thanks. This was such a bear, I’m so relieved it turned out well. For a while, I wasn’t sure who was going to win.” I realize that my friends are saying nice things and are interested in a little bit of info about the garmet, or the fabric, or the sewing process. I just don’t wear anything that looks like “loving hands at home”. Maybe other people would not notice, but I do not like being able to assume that “Did you make that?” is a compliment. So I make muslins if the fabric is pricey, sew slowly, baste if things are tricky, press, try on and adjust, and then wear with joy. Comparing it to life as a musician is such an interesting take! Wearable art, instead of auditory art. I like it! I always say “Thank you!”. Those who know me, know I sew and will ask if I made the garment. Then we talk. And if they ask questions, then we discuss difficulty, issues, etc. I know who among my friends and acquaintances are non-sewers so usually the conversation ends with my “Thank you!” as they do not want details. My sewing friends and relatives want the DETAILS!! It’s always nice to have sewists to talk to! Sewing for other people is SO MUCH MORE STRESSFUL! That’s a really lovely strategy! I just say, “I like it too!| ” and laugh (toe in the dirt, struggling to be humble sort of thing :)) I might even blather on about where I bought the material and what it is and a few challenges I had to deal with just like I would talking to another sewer until their eyes glaze over and I know I’m over extending my welcome. In other words I treat everyone like another sewer. We’ve all got potential after all AND if I can inspire another to have a go at it all the better – one can never have too many sewing pals. Ahh, neat way to think about it! Potential sewists all around! What a thought provoking post Gillian. I am usually busy nit picking my mistakes so possibly don’t notice when compliments are genuine. But we have a 19yo living with us this year. She asked why I don’t ever wear the things I make. I suppose that’s s compliment because I often have at least one hand made garment on – guess they may just pass muster! Or a simple smile and a “Thank you!” works well too. I simply say thank you! Or if I feel compelled to say more, I say ‘I really enjoy sewing’. I’m afraid if I say too much someone will say ‘well, since you like to sew I have this ——– that needs hemmed/fixed/whatever! Worst case scenario!!! Hehehe – at least you can always say: Sorry, but no! My sewing time is precious to me! My new year’s resolution one year was to learn how to take a compliment. I got really good at just saying ‘thank you!’ and meaning it. I also like ‘thank you! I like it a lot too!’ I don’t often get sewing specific compliments, usually only from the two or three people at work who know I sew. One is a sewer herself so I feel ok saying ‘I didn’t get the hem quite right but I’m really pleased with the fit of the bodice’ and she’ll say ‘what pattern is it?’ and then we can talk about seam finishes. The other is crafty but doesn’t sew herself, I usually say something like ‘thank you! I am really enjoying wearing it too!’ I do occasionally get a random compliment from others, or from family and friends, and I have to say I have more trouble accepting those compliments than others, and I don’t know why! I think perhaps because it’s a thing I have ostensible control over – I feel like I have minimal control over my appearance in a lot of ways and so the way I got better at accepting compliments, oddly, was to not take it personally! When it’s my skill that’s being commented on I find it very strange and confronting. I am trying to get better at not being embarrassed about my hobbies (my previous boss commented and complimented my sewing a lot but it was always a bit condescending and another coworker referred to it as my ‘little hobby’ and clearly thought it was very strange so i may have some hangups!) and instead taking pride in them, and in sharing them with others. Thank you for sharing that link to Kate’s blog post! I thoroughly enjoyed her rant 🙂 and of course couldn’t resist sharing it on facebook. I”m going to go read that article next! Thanks! It’s interesting to me how we all feel like the kind of sewing we do is easy, but the types of sewing other people do can still feel hard! I’m intimidated by fancy quilts, but I can knock out a bra or jeans easily! I’m normally ok at saying ‘thanks’ when it’s someone who doesn’t sew, It’s when it’s a fellow sewer, in person, that I tend to point out specific flaws! I find a lot of people that don’t sew follow up a compliment by saying they could never do the same / aren’t creative – and I always make sure to tell them they could, it just takes practice & time! I don’t think I’ve.gotten any compliments. But I think thats because most people don’t realize I’ve made.my.clothes myself. yeah, if you don’t say (and you are good) people don’t notice. Ooh, stealthy! I guess if you never tell people you sew, they’ll never guess! I’m going to be really complimentary as say that this was such a great post and very true! My teen aged daughter had another girl compliment her on a skirt I made her. When she found out that it was made by me, the girl immediately asked if I would make her one also. Alas I wasn’t there at the time and my daughter who is only 13 and quite shy didn’t know what to say. To this compliment, I would say “Thank you and sure thing! You go pick out the fabric and then I can show you how to make one too!” What is that saying? Give a man a fish and you feed him for a day but teach a man to fish and you feed him for a lifetime. The same goes for sewing. She’d learn, catch the sewing bug, fall in love with the process and learn a heap of skills while dressing herself in handmade fashion. For other compliments, I just say thankyou, I love to sew and I love to wear what I make (or see my children wear what I make). It’s an act of love to sew for my loved ones. TEACH THE CHILDREN TO SEW! Seriously, everone should know how, and you are right – everyone is a potential sewist in the making. I design lace patterns and I often get compliments. I read an article once that said we don’t accept compliments and after that I just say “Thank you” and smile. It certainly is an ego boost, even better when people buy your patterns and keep coming back to buy more. That must be a fantastic feeling!